This collection of counseling games is designed to provide children with insight and skills to cope with the many changes families can experience. Covers such issues as separation, divorce, natural disasters, remarriage, adoption, moving, foster homes, and more. 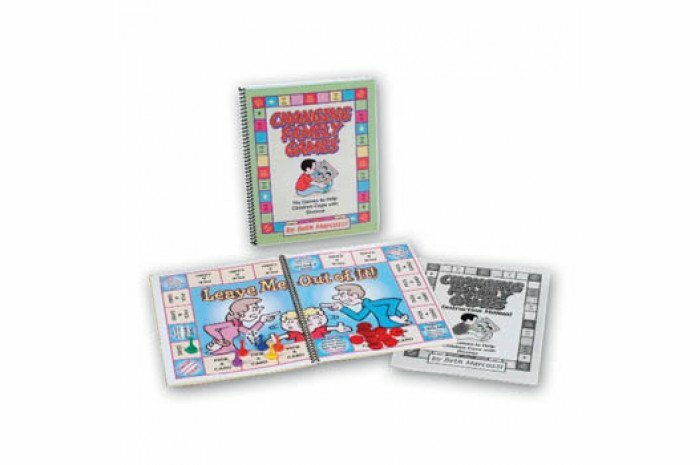 The set includes six game boards, an instruction manual, and all the materials necessary to play the games. Each game is designed to take approximately 30 minutes of playing time. For 2-4 players. Ages 6-12.